Have you ever tried to memorise the following list of verbs to know when you should use TO and when the ending ING? Are you able to memorise this? Honestly, I have never been able to commit the list to memory. And even when I thought that I know the verbs I was not really sure which form follows them. And my students had the same problem. 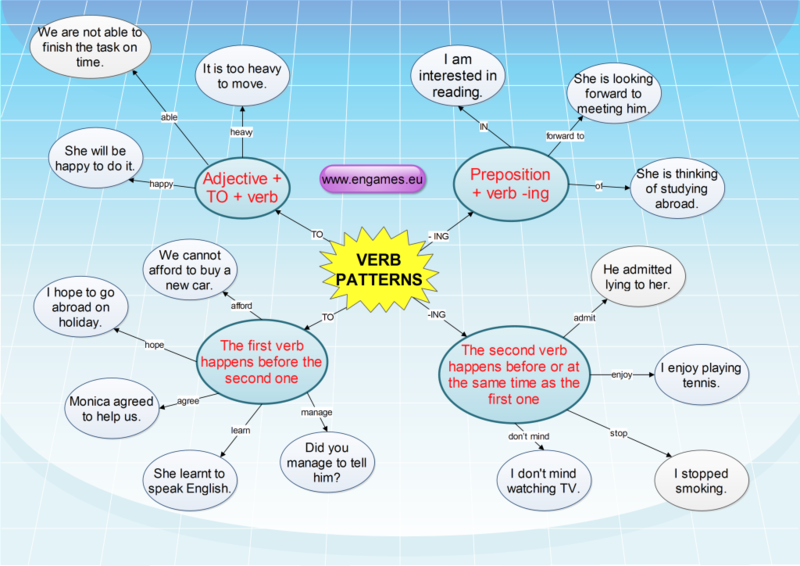 So I have written a post on verb patterns. But it did not work. The division of the verbs was too complicated. And when I started to be desperate I read a short comment under a post on verb patterns. There the author described his simple rule which worked in nearly 100% cases. Simple, isn’t it? However, you have to be careful as the rule does not work for the verbs suggest, pretend and fail. Below you can see the idea in a mind map and lower you can test it in several games. The mind map contains a graphical explanation of the rule. Simple way to know whether TO or ING should be used. Well, once you think you understand the rules, it is time to put them into a test. The first game is called penalty and your task is to choose the correct verb and then try to score a goal. GOOD LUCK. In the second game, you should complete the quiz and if you succeed you can play the game Rock, Paper, Scissors. 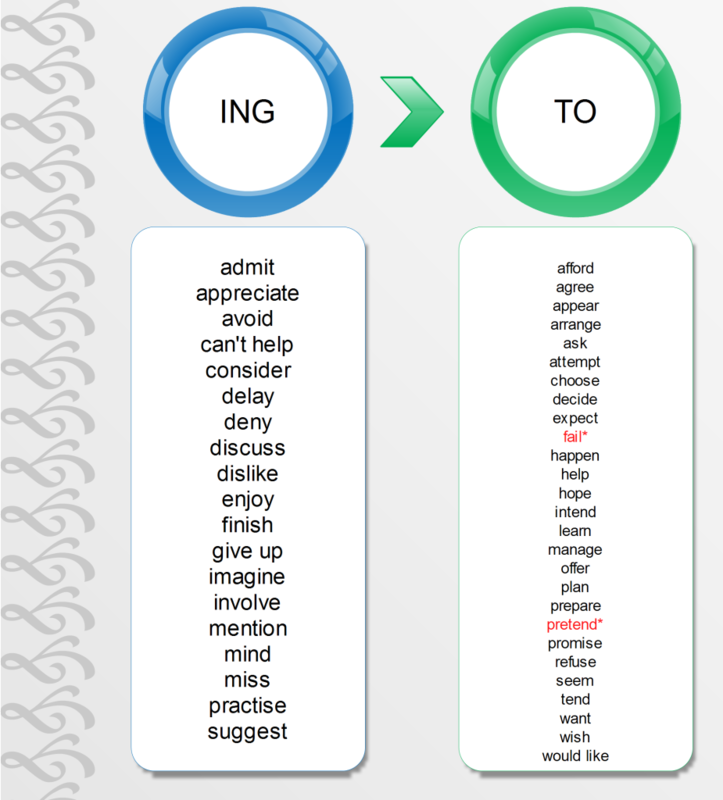 very interesting and helpful to us as an english teachers in lower primary classes. 1. My mother likes to sweeten the dessert with honey. “I like playing football”, for example. Thank you for solving the question to me. No. Sweet is an adjective and sweeten is a verb. Thus you could say: My mother likes sweetening her tea.